Movie Ramble: The Incredible Hulk. After my boyish enthusiasm for Captain America: The First Avenger (2011) thought I’d catch up with the second in the series of Marvel’s Cinematic Universe The Incredible Hulk (2008). Directed by French born Louis Leterrier, who is best known for a couple of Transporter movies and 2005’s Unleashed. This Marvel creation involves a scientist, a Dr Bruce Banner who is working on a way to use gamma radiation to increase healing time in combat soldiers. 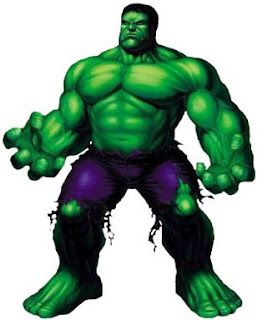 When the experiment goes wrong Banner is accidentally exposed to gamma rays that transforms the scientist into a giant green superhumanly powerful creature. In the commotion that follows the accident, the laboratory is wreaked and his co- worker Betty Ross is injured. 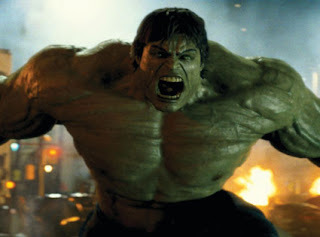 Banner escapes and resurfaces two years later in Brazil where he is attempting to control his temper, which when riled turns him back into his emotional and impulsive alter ego: the Hulk. 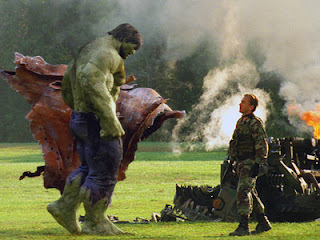 After discovering his whereabouts General Thaddeus "Thunderbolt" Ross, Betty’s father, sends a team of soldiers led by the crazy Emil Blonsky, who wants to exploit the powers of the Hulk for his own ends. All this leads to extreme complications for the normally withdrawn and reserved Bruce Banner. Although it lacks the humour of Captain America its still another good attempt at transposing a comic book character to the big screen. It has some incredible set pieces that are not only a feast for the eyes but certainly on Blu-Ray, an attack on the senses. My only quibble is that the two lead characters come across as a little lightweight. Edward Norton, an actor I normally admire, plays the scientist Dr Bruce Banner with Liv Tyler playing his love interest Dr Elizabeth “Betty” Rose, neither Norton in his Banner mode or Tyler are totally convincing. William Hurt as General Ross, who has dedicated himself to capturing the Hulk and Tim Roth who plays the Russian-born officer Emil Blonsky loaned to the General from the United Kingdoms Royal Marine Commandos are both totally credible in their roles. Can’t wait to see Thor (2011).